Downtown full-service hotel with 55 rooms. A full hot breakfast is offered during winter months and a continental breakfast during the summer. Amenities include meeting facilities, dining room, lounge, British restaurant & pub, hot tub, secure parking and 24 hour front desk. Conveniently located just 1 block from community centre, pool & waterslide. Free pool passes are available with overnight stay. Also only 1 block from Grizzly Plaza. 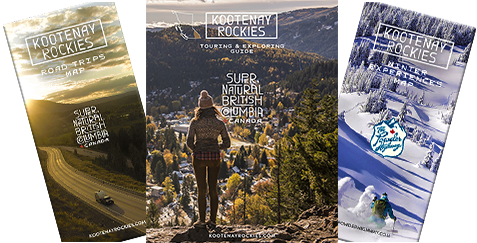 Tour buses welcome for rooms or meals; ski/snowmobile packages, heli-skiing, spa packages, custom packages.